The new Cortez Rally will follow an international style of rally raid competition that includes road book Navigation, on-road transit stages, off-road special sections and overnight stops. It will cover varying terrain with stunning desert scenery along the Sea of Cortez. The Cortez Rally was created by Dakar veteran Darren Skilton and Scott Whitney who have linked up with NORRA to present an unmatched rally raid experience in North America. Competitors who wish to take on the Cortez Rally in 2015 will start their adventure in Mexicali April 22nd and will tackle three Dakar-inspired stages that will see the bikes and cars finish in Ensenada April 24th. All Cortez Challenge teams will be pre-registered for both events in Mexicali so they have time to work on their bikes and cars before resuming the Challenge with the start of the Mexican 1000. See the Cortez Challenge page for more about the Cortez Challenge. Note: Online registration for the Cortez Rally has closed. You can still register in person at the event. Bikes will start hours before the cars, and some stages will be split towards the end so bikes and cars are on different tracks to limit possible car and bike interaction. All motorcycle classes will run road book navigation for both the Mexican 1000 and Cortez Rally. One free room night per entry in Mexicali at our host hotel for the first 25 entries. One free room night per entry in Ensenada at our host hotel for the first 15 entries. Three days of racing (if you DNF/DNS a stage, you can still race the next stage). Each competitor will receive a CORTEZ RALLY T-Shirt at registration. Additional CORTEZ RALLY shirts and hats will be available for purchase at registration and throughout the rally for $10.00. Cash only. RACERS INSURANCE EXTENDED TO SUPPORT TEAMS / VEHICLES - Instant Mexico Insurance is offering a special support vehicle medical insurance package for $150 per vehicle, covering up to 4 people per vehicle. Please contact Cortez Rally for more info. 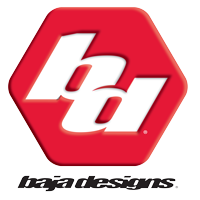 (Dskilton@bajaautomotive.com) Payment direct to Instant Mexico. It's secret! As with most cross-country rallies, the actual race course is never published in any form, and never known by the racers until they are on it in the race. Roadbooks for each stage are handed out the evening before that stage is to be raced, so there is little time to study it, and no opportunity to prerun it. No GPS tracks will be provided, nor allowed. And since much of the event is held in a region few if any of the competitors have ever been to, there won’t be much “past experience” to give local knowledge advantage to one competitor over another. Be prepared for sand. This means cars will need sand ramps. 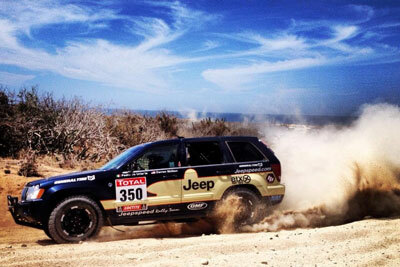 Twenty-year Baja racing veterans won't know the course any better than newcomers to Mexico. HELP DONATE to San Luis Red Cross, San Luis Fire Dept. and the local Ejidos by purchasing a CORTEZ RALLY BIVOUAC wristband during registration- all proceeds for Bivouac meals go to directly the above organizations! Thank you for your support! Bivouac breakfast will include freshly made Breakfast burritos, Coffee and Fresh Juice. Bivouac dinners will be local Mexican Carne Asada style BBQ. HPR dinner will be Rodrigo's famous BBQ chicken dinner, salad, dessert. Tecate Beer tents will be set up in the Bivouac with beer, water and snacks for purchase and the Horsepower Ranch Cantina will be fully operational at the race finish. Cash only. The Bivouac is your pit and camp area. The evening after the first and second stages, the Cortez Rally will have a stationary bivouac in a convenient open Sonora Desert area less than 20 miles from motels, fuel and other city amenities, and close to the USA boarder. The exact location of the bivouac will be announced at registration in Mexicali. It is easily accessible for motorhomes, trailers and 2wd vehicles. Stage 1 will start in Mexicali and finish at the bivouac. Stage 2 will start and finish at the bivouac. Stage 3 will start at the bivouac and finish in Ensenada at the same location as the start of the NORRA Mexican 1000 Rally (Cortez rally competitors will get a preferential rate all at same Ensenada hotel). Your crew will be allowed access to the bivouac while you are racing Stage 1 so they can set up your camp. When you arrive at the bivouac, grab a shower and relax a while. After dinner you can sit around the campfire and bench race all night with your race buddies or grab some rest so you’re fresh for the next day’s stage and festivities! Those who require a hotel can drive into town each evening. Official hotel in San Luis Rio Colorado is the San Angel and we will have a discounted racers rate available for registered teams. Food: There are three options. 1) Local 4x4 clubs will provide food as a fundraiser for their individual off road clubs. A traditional Sonoran BBQ and Asada will be provided each evening and breakfast burritos and coffee each morning. The cost of the food provided is on a donation basis. 2) Bring your own 3) There is a large restaurant 2 miles from bivouac. We will have a bar tent on site that will have beer, water, soda, coffee and snacks available for sale. Showers: 1) There are clean showers 2 miles from the bivouac that will be available to the racers. You will be provided with 2 shower vouchers upon registration. We will have a shuttle available at organization tent for those who need it. 2) Bring your own. 3) Hotels are 18 miles away. WiFi: There is cellular service in Bivouac. Sometimes even US service. We will also have a satellite Wifi system in the organization tent for emergencies. Organization Tent: It will be located near start finish. All race info, emergency and first aid services will be at or next to the tent. Race briefings each evening at 8pm will take place at the tent. All road books, trackers and GPS downloads will be at tent. Other than that, there isn’t much there except the sweet smell of desert sage. Sleeping accommodations are up to you, though be aware scorpions are common in this area! Please plan to truck out everything you truck in. We want to leave the desert cleaner than we found it. Several NORRA classes will combined for the Cortez Rally and all motorcycles will run in one class.